He entered into the private practice of law initially focusing on class action litigation after receiving a law degree from William Mitchell College of Law and his admission to the bar in 1974. For more than 40 years he has served the people of Minnesota. He is an active member of the community having served on the boards of several organizations including the William Mitchell Alumni Association and the St. Patrick's Association, Inc. If you have a legal problem or face a legal challenge and you want an attorney with experience who will handle your needs personally, look to Stewart C. Loper, P.A. 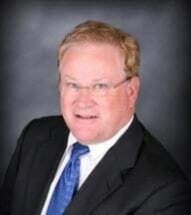 To learn more about why the people of the region have put their trust in Stewart for four decades, you can schedule a free initial consultation with him at his Bloomington office.